35 Years of Professional Laser System Service, Support, Sales and Expert Repairs. 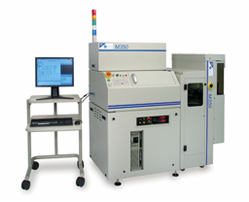 Specialized Electronics Laser Services Group repairs and supports Industry Legends ESI Laser, GSI Laser, Lee Laser, Teradyne Laser, JDSU / Lightwave Laser and Robotic Industry leaders Kensington, Brooks Automation and many others. The Laser Services Division of SES employs Advanced Laser Troubleshooting and Laser Repair Services, Laser System Optimizations and Tailored Training courses in Predictive and Preventive Maintenance. We do ON SITE Repairs and Service. On Site Predictive and Preventative Maintenance. Experienced Technology Specialists: Our laser technicians and engineers are experienced in multiple industries such as Link Processing, Active Trimming, Thick and Thin Film Trimming, Circuit Fine Tuning, Laser ID / OCR Scribing, CO2 Laser. We use the latest technology to test equipment to repair, service and final test your repaired parts. GSI M310 SPARE PARTS LIST “Field Replaceable units”. OTHER Supplies and AOM Module. (Repair and purchase of parts). BEAM BOX COMPONENTS (Repairable Units ONLY) MISC. GSI 225.087.60- Digital Supply NOTE: personality module dependant. GSI 225.087.40 – Analog Supply NOTE: personality module dependant. GSI 251.078.14 – Washer, Belleville, Front (Package Qty). VIDEO DISPLAY Realize that the Sun Monitor is replaced by monitor replacement and an addapter from Sun to VGA. GSI 225.558.00 – B/W Monitor Standard (Replacement CRT or LED Monitor). We will support all other parts through our business partners and get the best prices possible, beating General Scanning prices “Always”. That’s a guaranty. 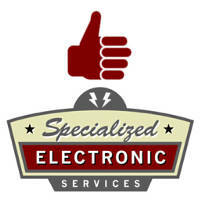 Call us today at Specialized Electronics to discuss your Laser Parts and Service needs. Were also available to on-site training classes, troubleshooting and generating Predictive maintenance for your entire production needs. We can fix any Cohu Camera. “Cohu Model 4810 Series Monochrome 12V CCD Camera”, 4812-7000/0000. Specialized Electronics will repair YOUR companies camera. We will match / plug and play. You may find similar, but have to modify your systems.